International Air Transport Association (IATA) Resolution 753 comes into effect in June 2018, giving airports just one year to ensure their baggage handling systems are compliant. The resolution aims to reduce the number of lost or delayed pieces of baggage by keeping track of them at every stage of their journey, by maintaining a strict ‘chain of custody’ as bags are handed over during the various phases of travel. This will lead to a better customer experience and reduce the costs involved in tracing, retrieving and delivering missing or delayed bags. To comply with IATA Resolution 753, airports must monitor the acquisition and delivery of bags at the three specified events: aircraft loading, arrivals inject and transfers inject. IATA members have committed themselves to prove the chain of custody by: demonstrating delivery of baggage when custody changes, demonstrating acquisition of baggage when custody changes, providing an inventory of baggage upon departure of a flight and exchanging these events with other airlines as needed. The resolution is already having a positive impact on the passenger experience at many airports. As we approach June 2018, airlines are launching systems that provide real time notification to passengers about their bags. Passenger service apps provide push messages when a passenger’s bag has been checked and loaded, as well as providing the bag tag number and the reclaim carousel number when the passenger arrives at their destination. The new regulations are driving investment in technology that not only enables compliance with the resolution, but also improves passenger experience. 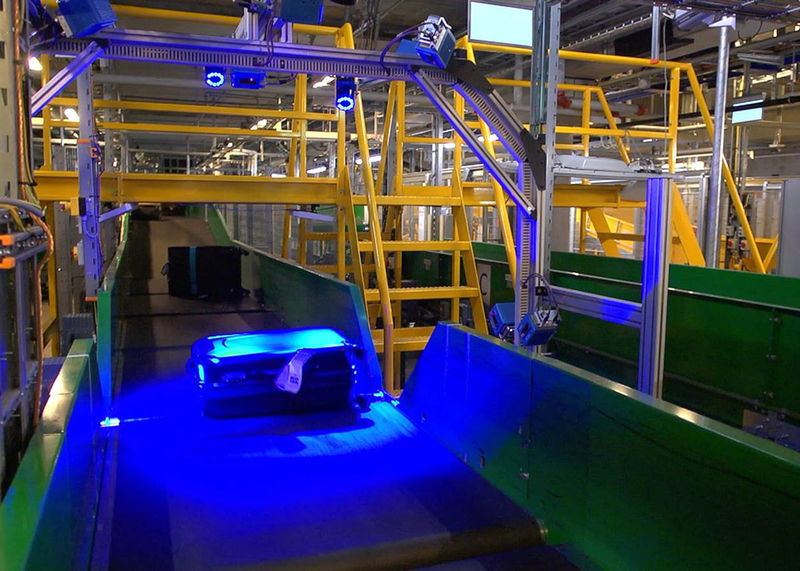 Over recent years, many airports have commissioned modern baggage handling systems, as they are able to track the progress of a bag through the airport. In BEUMER Group baggage handling systems, high level controls, scanners and the baggage reconciliation system can tell where the bag has been, which security level it scanned through and when it was discharged for loading. The data is kept in the information system from which the airport or airline can pull the necessary information to convey to the passenger. Off-loading and passenger acquisition of inbound bags presents a major challenge. Off-loading for passenger reclaim puts great demand on automatic tag reading (ATR) technology, leading airports to adopt new approaches such as Optical Character Recognition (OCR) and Video Coding Systems (VCS) that allow an operator to manually resolve tag reading from a remote location. Another technology for tracking baggage efficiently is RFID tags, which offer a higher read rate. They are still readable even if crumpled or wet and the price for a tag can be justified by the reduction in baggage having to be routed for manual encoding, if it can’t be read automatically. The challenge is that the airline has to pay the higher cost per tag, but airports are the main beneficiary. Airports are complex environments, with some having as many as 30 different scanner technologies and conveyors or claim carousels that are not designed for attaching scanner arrays, making it harder to establish that they have the infrastructure to support Resolution 753. Despite this, they must be able to demonstrate compliance by June 2018. Even with the challenges, IATA Resolution 753 should be welcomed by airlines, airports and travelers alike. It is driving investment in technologies that will accelerate the reduction in baggage mishandling rates, which have been falling since 2007. This means a tangible benefit for all parties: fewer passenger complaints, as well as faster reconciliation and flight readiness for departing flights.